President Vladimir Putin has repeatedly slammed the US unit's dominance on the world's stage but the country's previous efforts to de-dollarise its economy have so far had little success. But with Russian business circles fearing a new round of US measures over Moscow's alleged international aggression and Washington's trade policies becoming ever more unpredictable, authorities have now made concrete steps towards their long-standing goal. Russia's finance ministry and the central bank are soon expected to present measures to increase the use of other currencies in international trade to Prime Minister Dmitry Medvedev. "We will certainly be moving in this direction," Putin said last month. "Not because we want to undermine the dollar but because we want to ensure our security, because they are constantly slapping sanctions against us and are simply denying us an opportunity to use the dollar." Observers warned that the task Russia faces is hugely ambitious but that an unpredictable US policy, new US sanctions against Iran and Washington's trade war with China could in fact help Moscow. "Large-scale de-dollarisation will take time –- estimates range between 1.5 and five years," Euler Hermes, a France-based credit insurance company, said in a recent report. 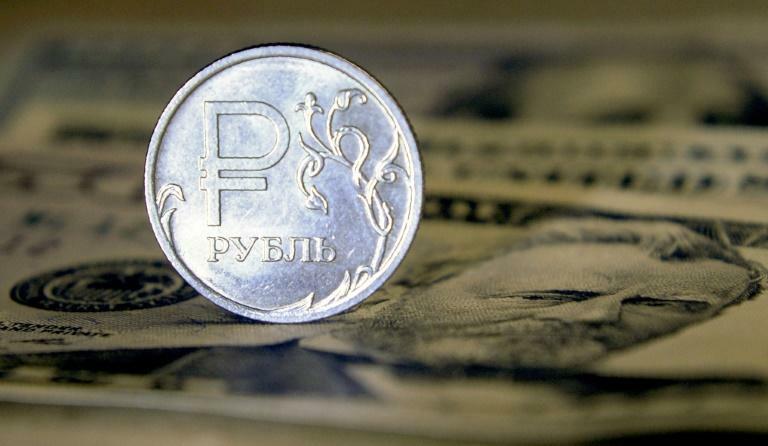 Russia's de-dollarisation efforts "may be easier now in a world of rising US protectionism", it added. Euler Hermes said Russia's transactions with the EU and China -- which make up nearly 60 percent of Russia's foreign trade -- could be shifted into euros and the yuan, while transactions with former Soviet nations could be done in rubles. Deputy Prime Minister Yuri Borisov has said India will pay for Russia's S-400 surface-to-air missile batteries in rubles. "There has already been an organic and natural reduction of dollar payments over the years," Polevoy told AFP. Russia's sovereign wealth fund has been a "pioneer" by setting up two funds with China to settle deals in national currencies, Polevoy added. "The first transactions are due in 2019. Similar investment vehicles could be created in other countries," he said. According to the central bank's data, the share of dollar payments in exports of goods and services declined to 68 percent from 80 percent between 2013 and 2017. At the same time, the share of transactions in euros increased to 16 percent from nine percent and those in rubles rose to 14 percent from 10 percent. The trend is less visible in imports, where the share of payments in dollars declined 36 percent from 41 percent. Russia will not be able to fully jettison the dollar any time soon because its economy still relies heavily on oil -- priced in dollars. But the country has already reduced its holdings of US government debt by around $80 billion this year. Euler Hermes said that "other measures could be the delisting of major Russian companies from foreign stock exchanges and increasing gold and euro reserves". Oleg Kuzmin, an economist at Renaissance Capital, said there were still a lot of obstacles to using national currencies. "No one needs -- for instance -- the Russian ruble in Croatia and the Croatian currency in Russia," he said. "But if there's an easy and efficient mechanism to change directly one currency into another, then this can start working properly," he said.